On January 23, 2015 Judge Clayton Davis sentenced Kevin Jaquelle Hill to 15 years with the Louisiana Department of Corrections. 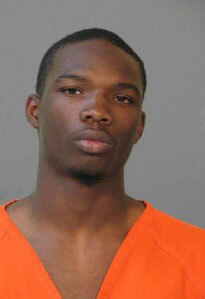 Hill pleaded to one count of Armed Robbery and one count of Armed Robbery with a Firearm. The sentence will be served without the benefit of probation, parole or suspension of sentence. Hill admitted to robbing three men at gunpoint in November of 2013. The incident took place in a barber shop on Poe Street in Lake Charles. Judge Davis sentenced Hill to ten years in prison on the Armed Robbery charge and an additional five years on the Armed Robbery with a Firearm enhancement. By law, the enhancement must be served consecutively to any other sentence. Detective Kirt Farquhar handled the case for the Lake Charles Police Department. Assistant District Attorney Christy Rhoades May prosecuted the case for the Calcasieu Parish District Attorney’s Office.